England Women U20 have unveiled their spring fixtures that will see them face Army in Aldershot before they face France in a two-game series. The game against Army at Army Rugby Stadium has been scheduled on 9th February before they head to Strasbourg where they will face France Stade de Hautepierre on 9th March. The two teams will once again converge on 16th March at Newbury RFC for the second game. In addition, England Women Talent Development Group will also get to play Scottish Futures U18 and Emerging Wales sides in Preston and Cardiff respectively on 3rd March and 30th April. “We are really looking forward to playing against the Army," said U20 head coach Jo Yapp. "This fixture is always a good test and great development opportunity for these young players ahead of our France fixtures. “This year we have a very young squad with players being identified early through the TDG programme and the Tyrrells Premier 15s. We are looking forward to seeing how they cope with the challenges and pressure of international rugby over the next few months." The TDG will provide a platform for England Women to identify talents at the U18 level before they head to the senior level. “The opportunity to play against the Scottish Futures U18 and Emerging Wales Women side is an exciting one for this group. 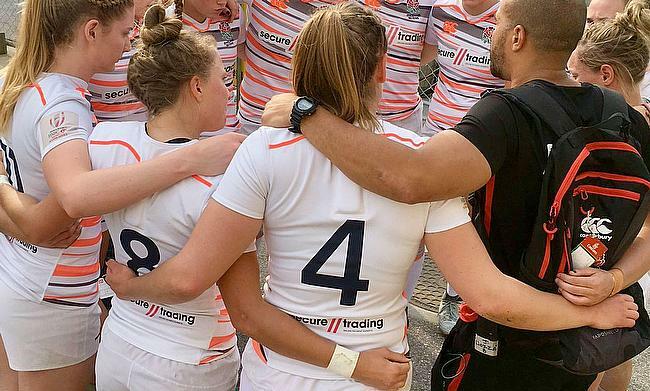 It’s imperative that we continue to create quality playing opportunities for emerging talent as they develop," lead coach and RFU women's performance pathway Ofoficer James Cooper. "Having two fixtures this year will allow us to expose more players to the demands of preparing and playing in high level matches, which is vital for their development and can only help as they progress up the pathway into the U20, Tyrrells Premier 15s and hopefully Red Roses. “For the TDG to play a fixture at the Principality, one of the biggest stadiums in the UK, is an invaluable learning opportunity that will bring new challenges for this group. Sarah Beckett: "You get to live your dream day in, day out. It is sensational"